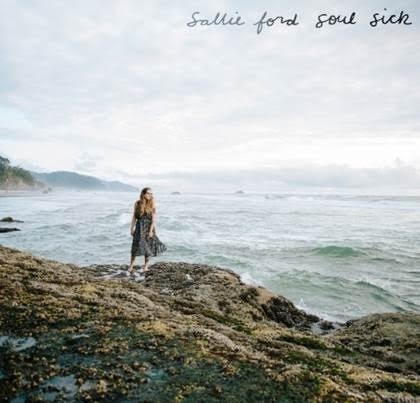 Sunday Sounds: Sallie Ford - "Get Out"
One of the city's biggest pride and joys, Sallie Ford, has been relatively low key following her split with the Sound Outside and the release of 2014's Slap Back. Over these last couple of years we knew deep down Ford wasn't laying her musical abilities to rest and this month, along with the release of a new single, she announced more new material coming our way through an upcoming album. February will see the deliverance of Soul Sick, an album of emotive reflection featuring a slew of talented Portlanders that helped bring it to life. Ford found herself at Type Foundry Studio where she solicited the help of Mike Coykendall along with his brother John, Kirk Hamilton, Garth Klippert of Old Light, Ben Nugen of Dolorean, Kris Doty of Modern Kin and helping hand to Tom Waits and the B-52's Ralph Carney in bringing instrumental talent and production smarts to the process. This is a confessional album about struggling with my issues — some that I’ve overcome and some that I still carry around. This is an album about insecurity, anxiety and depression; it’s an album about band breakups, major life changes, and what it took to deal with those things. Growing up, I was a middle child and a homeschooler, so I’ve always felt like an outsider. In making this record, I explored what my music means to me, and how I’ve always struggled with feeling the pressure of not being good enough and wanting to quit. On these new songs, it felt good to write on one theme and from one place. All in all, Soul Sick has taught me a lot about myself and helped me to heal. Soul Sick will be out via Vanguard Records on February 10. Give the first track from the album, "Get Out," a listen below. 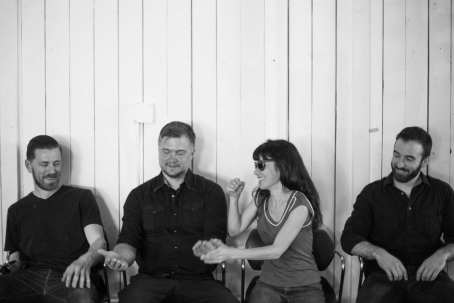 PREMIERE: The Late Great - "Shape of the Sea"
Expressing snarky banter and melancholy through fitting songwriting and equally expressive guitar work, The Late Great convey both innocence and feminist tones with their dark pop execution, as seen on their debut album Easy. The sincerity of the lyrics from "Shape of the Sea" are a good example of this, where songwriter and The Late Great leader Sarah Lane imparts strength and power by saying "I'll take on the shape of the sea/Lord go on & lay it down on me/I am your pride, I'm your enemy/So go on and take what you want from me." Women do take on a lot in the world and Lane welcomes that weight without fear - a message that's both relatable and empowering. Easy will be digitally released on August 17, with a release show happening on August 20 at the Turn! Turn! Turn! with Mike Coykendall and Hollow Sidewalks. Dive into the "Shape of the Sea" below.